City of North Bay-Probationary Firefighter | Ontario Fire Administration Inc.
You must have valid certificates for Stages One, Two and Three to apply to the City of North Bay. The posting closes May 3, 2019 at 4:30PM. Questions regarding the City of North Bay's recruitment process should be directed to North Bay. Pre-Assessment Guides - This is a required piece of reading material for all candidates. To access our Frequently Asked Questions, visit www.ofai.ca/faq. North Bay is a vibrant and progressive City situated between Lake Nipissing and Trout Lake in Ontario’s beautiful Near North. This growing city of 51,000 residents is conveniently located just three and a half hours from Toronto and Ottawa. North Bay’s Fire and Emergency Service is accepting applications for full-time, permanent Probationary Firefighters, working in the Suppression Division. Our employees work for the common good of the residents, workers and visitors of the City of North Bay. North Bay Fire and Emergency Services incorporates the values of service excellence, safety, integrity, professionalism, communication, teamwork and respect. In order to provide the best service to the public, we are committed to the training, education and well-being of each member. Firefighters are expected to maintain a high standard of professionalism, integrity, credibility, solve problems, work as part of a dynamic team and possess excellent interpersonal and organizational skills. If you are committed to serving your community and helping people, are willing to continuously train and learn, and work well in a team environment, you may be an ideal candidate for a career with North Bay Fire and Emergency Services. You must be physically fit and psychologically prepared to handle the sustained, intense, physical effort often required to perform these duties. You will be required to work at heights and confined spaces, and wear supplied safety equipment. Following the chain of command, the firefighter reports to and is under the general direction and supervision of a Fire Captain and the Platoon Chief. 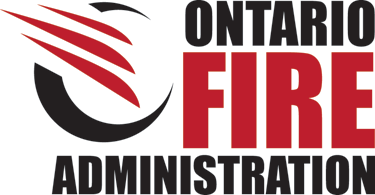 Valid Ontario Fire Administration Inc. (OFAI) Candidate Testing Services certificate including Stage One, Two, Three. Please Note: Candidates required to renew their certificates during the recruitment and selection process must do so at their own expense. Note: Prior to a conditional job offer, candidates will be required to pass a psychological suitability and resiliency assessment. What would make a preferred applicant? To begin the recruitment process, you should familiarize yourself with the eligibility requirements of this opportunity. Please carefully review the recruitment package before submitting your application. Incorrect or incomplete submissions will not be accepted. To apply and proceed through the recruitment and selection process candidates must have and maintain an active email address. It is the candidates’ responsibility to provide and maintain current contact information including telephone number. Please submit your resume no later than Friday, May 3rd, 2019 at 4:30 p.m. to: firerecruitment@cityofnorthbay.ca. If you require assistance with the application process, please email: firerecruitment@cityofnorthbay.ca and we will respond within two (2) business days. Applications and all required documentation will only be accepted online. The City of North Bay will not accept applications delivered in person or by mail. By submitting your application, you are authorizing the City of North Bay to contact the OFAI to verify your qualifications. The City of North Bay is not responsible for any application that may be delayed or lost electronically. It is the applicant’s responsibility to ensure that the City of North Bay receives his/her application within the stipulated deadline. Fire Fighter recruitments attract a high volume of applicants. Please do not contact the Human Resources Department or Fire Services. While we appreciate the interest of all applicants, only those selected to continue through the process will be contacted.